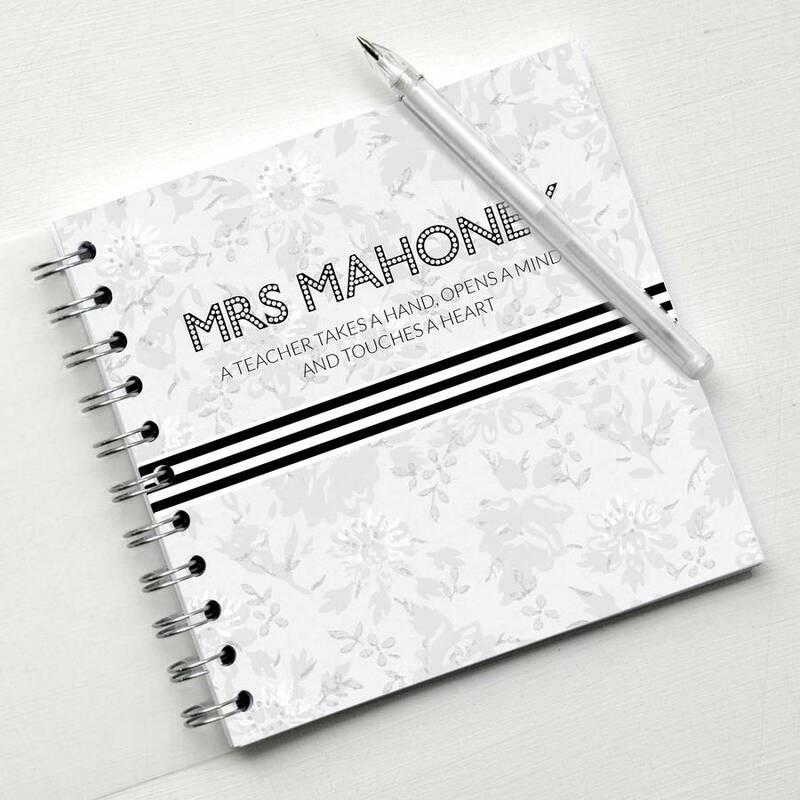 A useful spiral bound personalised teacher notebook. This useful little notebook for teachers is a great gift for your child to give to their teacher at christmas, at the end of the school year or any time just to say thank-you! 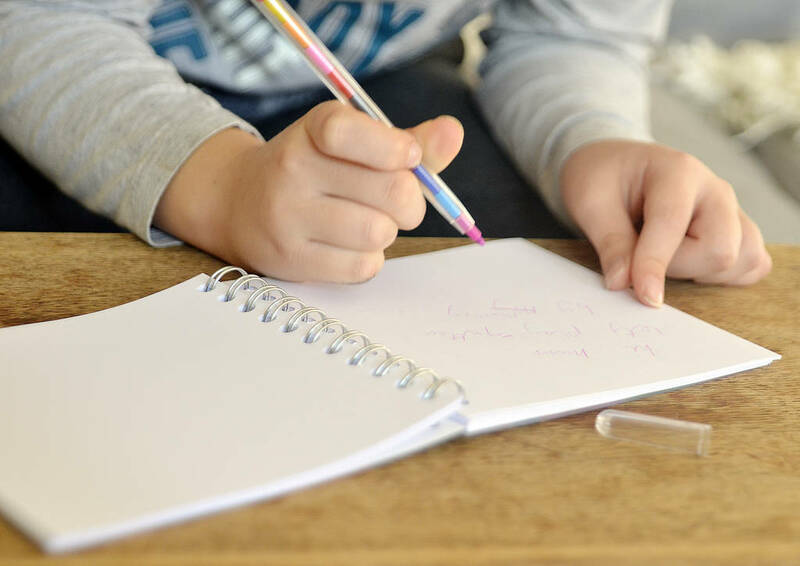 As the notebook doesn't say 'teacher' anywhere, the only wording is what you request, these notebooks are suitable for any childminders, Teaching assistants, head masters, or even yourself. The perfect way to say 'thankyou' at the end of term, christmas, or anytime you wish. Personalise with your own words. Please type the words as they should be printed, check spelling and punctuation, and spaces where needed, i am unable to do it this end.